I looked around the review section a few times and realized that nobody reviewed Florida Shells and Gifts (And if they did, I missed it). I got a pack of thirty shells off of Amazon from them and they came quickly and unbroken. They even sent me an extra shell! Sadly, most of them turned out to be WAY to tiny for my crabbies, but they love the ones that fit them. Jarvis changed into one the first night I put them in and Friday finally changed into one after a little while. 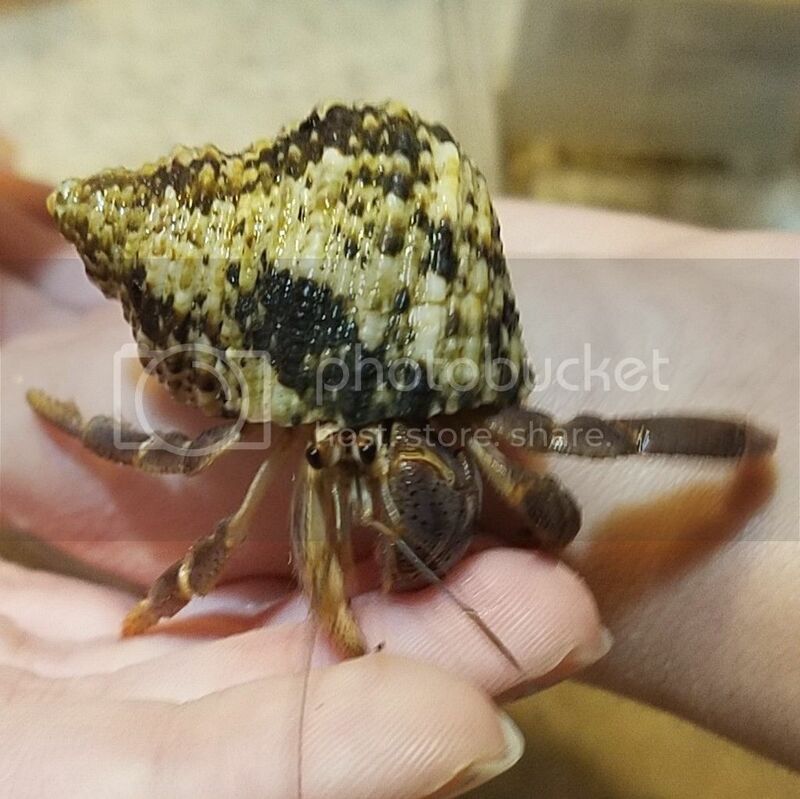 Friday had a week or so when she would constantly change shells (like, a new one or two every night!) but finally decided on one she liked. I really liked the diversity of the shells received, both in color and size. They did send me one tan and ridged shell that I found my two in a tussle over one night. (Nothing to worry about though, just that they both had their legs on it and when I walked over to the tank Friday backed up. Next morning Jarvis was wearing it!) The price was reasonable (I don't quite remember it!) and the crabs are still in shells from that order. I recommend researching the HCA shell guide BEFORE buying/adding to your cart. They have a lot of shells marked for hermit crabs that are actually not preferred by hermit crabs. That could lead to you wasting your money.